My temporary license plate bill, AB 516, goes into effect on January 1st. 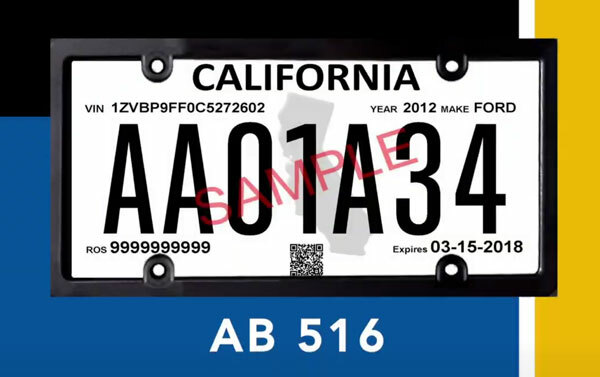 Vehicles sold by California licensed dealers and lessor-retailers after January 1, 2019 will be required to display temporary paper license plates or permanent license plates issued by the California Department of Motor Vehicles. Please watch my video and visit the DMV website for more information about this new law. 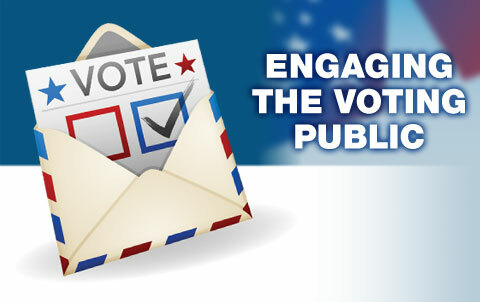 Election reform and boosting voter turnout are key legislative priorities for me. Since I arrived in Sacramento in 2012, I have authored eight bills designed to modernize and reform the elections process, including proposals to improve transparency, make sure every vote counts and increase voter participation. 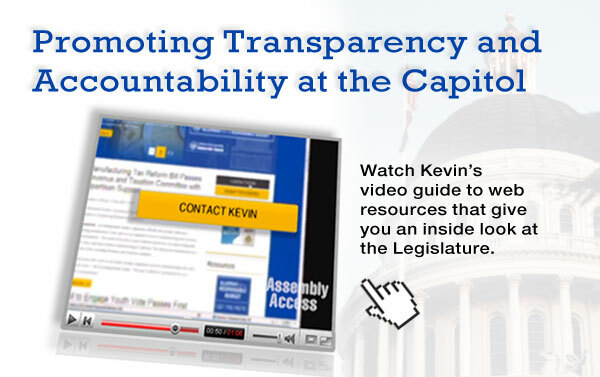 In an effort to promote transparency and public participation, Assemblymember Mullin produced this video guide to internet resources that provide a window in to the California State Legislature. Mr. Mullin hopes that members of the public will be able to use the tools on this website to follow what is happening in the State Capitol and hold their elected officials accountable. 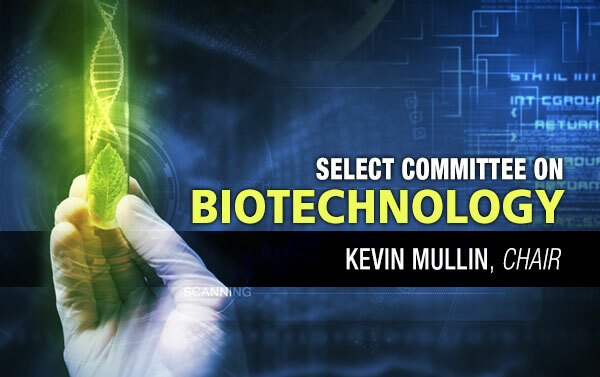 I am proud to chair the Assembly Select Committee on Biotechnology. My interest in civic engagement started early. When your father is a high school government teacher and your mother enjoys a lively discussion at the dinner table, you learn early on that civic engagement and being an active participant in the political process gives you a voice in your local, state and national government. Even if your preferred candidate isn’t successful, your vote always counts. As a senior in high school, I participated in the City of South San Francisco’s Youth Government Day program (which my father, Gene Mullin founded). This provided me with an opportunity to see first-hand the inner workings of local government. Later in life, as a member of the South San Francisco City Council, I participated in the program as an elected official and remember quite clearly the energy and interest shown by the students that shadowed me. “Today Governor Newsom took the bold step of ordering a moratorium on the death penalty in California. As a longtime opponent of the death penalty, I support this action, especially in light of evidence that the death penalty has not reduced the number of homicides or other serious crimes. We must also examine the numbers that demonstrate that our criminal justice system has historically been more punitive to people of color, those who are limited financially, as well as people suffering from mental illness. We must look to new and better ways to reduce crime and recidivism. Sacramento – Assembly Speaker pro Tem Kevin Mullin has introduced AB 1168 requiring emergency dispatch/call centers statewide to implement text to 9-1-1 services so the deaf and hard of hearing have equal access to emergency services. Sacramento – Assembly Speaker pro Tem Kevin Mullin continues to advocate for 17 year-old primary voting and he is not alone. Currently, there are 23 states plus the District of Columbia that allow 17 year olds to vote in Presidential primaries, provided they will be 18 by the time of the General Election.